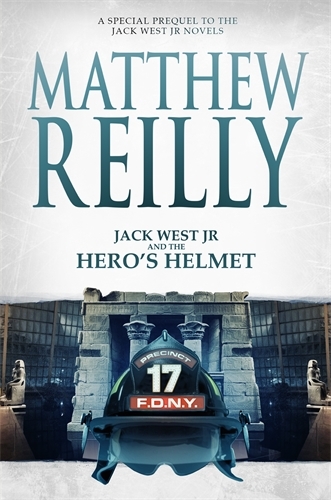 Before you read The Three Secret Cities, find out more about Jack West in the new short story from Matthew Reilly, The Hero’s Helmet. Jack West Jr. Adventurer. Scholar. Warrior. He is known for his cool head under pressure . . .
. . . and also for the battered fireman’s helmet he has worn throughout his adventures. This is the story of how he got it.